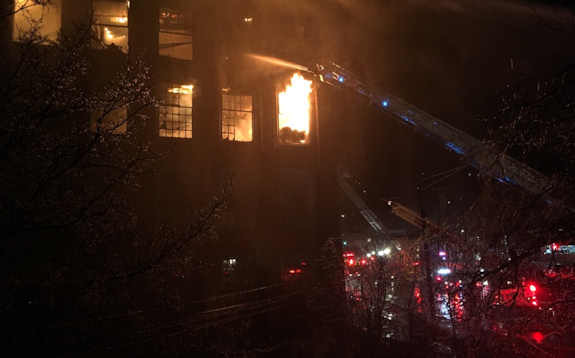 YONKERS, Westchester County (WABC) -- A four-alarm fire burned through a large warehouse complex in Yonkers that includes the historic Alexander Mills carpet factory. Flames shot through the roof of the warehouse on Lake Avenue at Nepperhan Avenue after the fire broke out at about 4 a.m. Monday. The warehouse houses several businesses. 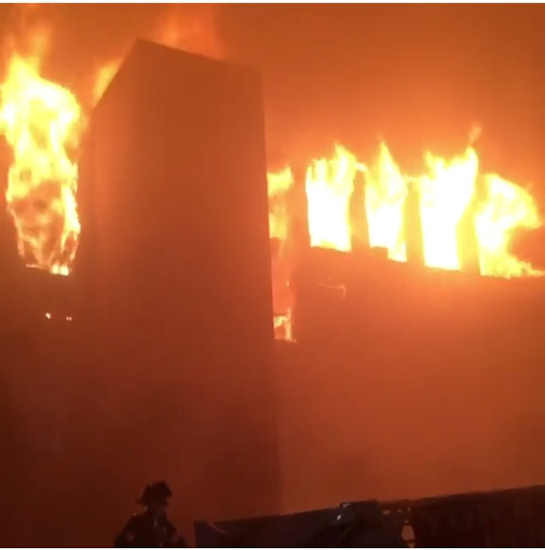 Firefighters battled the blaze from the outside. 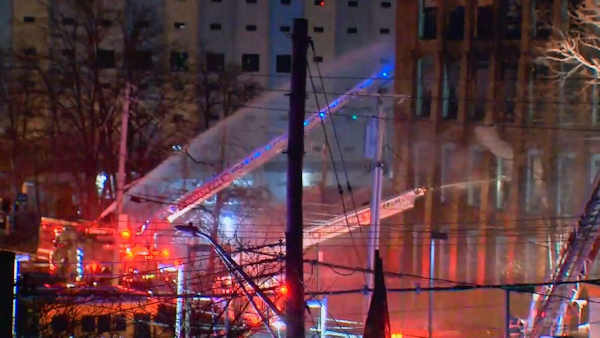 There was heavy fire on the third, fourth and fifth floors. Members of the YoHo Artist Community work out of two of buildings on the site. The complex was added to the National Register of Historic Places in 1983. Local roads around Nepperhan and Lake Avenues were closed for fire department activity.